this week's make it monday challenge was to use dry brushing on a project. Thanks for stopping by! Please leave a comment and let me know what you think! this is really cute. the color combination is really simple, and it just works! I love this card! 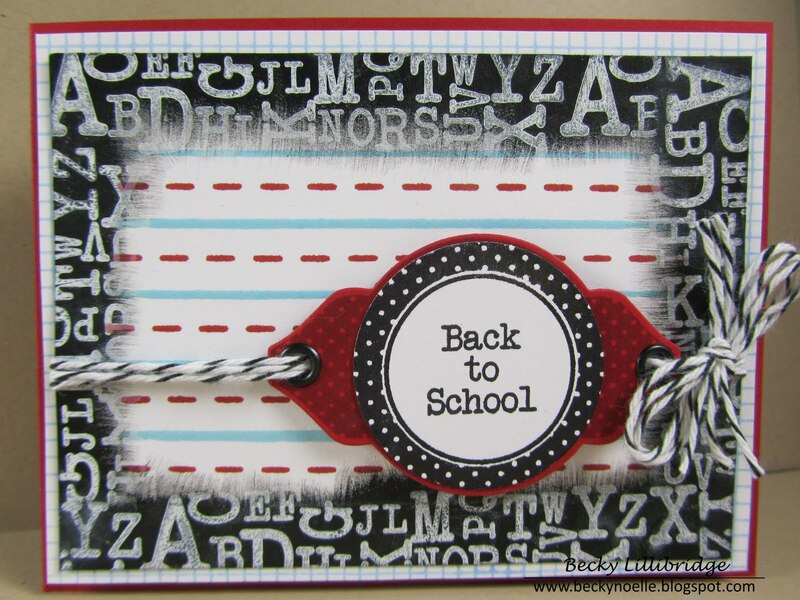 The outer edges remind me of the old school composition books, and I love the colors and the "school paper" you created. Great job!! Awesome card. ;-) I love all the different patterns and colors, and your dry brushing looks great!